The wages under the MGNREGA, have increased in a range of 2 to 8.76 per cent in most of the States except West Bengal, Karnataka, Kerala and Goa, where the wages have not been increased for the 2019-20 fiscal.Among the States, the increase of wages in Mizoram was the highest at 8.76 per cent from Rs 194 to Rs 211. 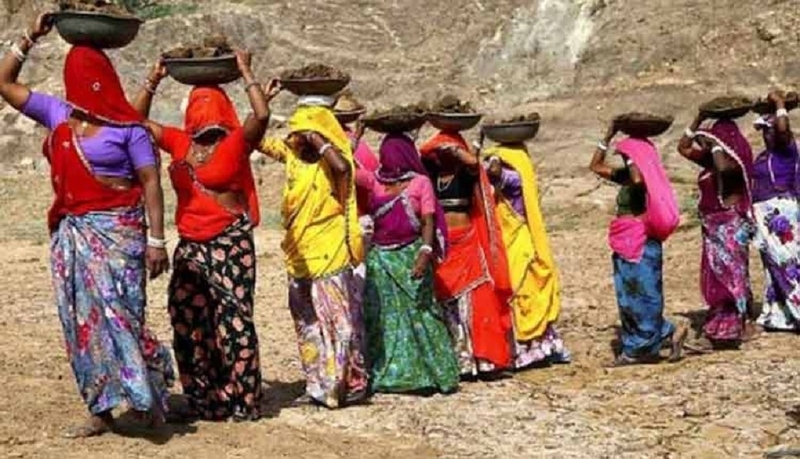 THE Union Rural Development Ministry has increased the rate of wages under the Mahatma Gandhi National Rural Employment Gurantee Act (MGNREGA) for the 2019-20 fiscal with approval from the Election Commission and has asked State Governments not to publicise the enhancement of wage rates under the rural employment scheme. The Congress and the Communist Party of IndiaMarxist (CPI-M) have criticised the Government for “increasing wage rates days before the Lok Sabha polls”. According to the Government notifications available with‘ IANS’,thewagesunder the Mahatma Gandhi National Rural Employment Guarantee Act, have increased in a range of two to 8.76 per cent in most of the States except West Bengal, Karnataka,KeralaandGoa,where the wages have not been increased for the 2019-20 fiscal. AmongtheStates, theincrease of wages in Mizoram was the highest at 8.76 per cent from Rs 194 to Rs 211. As per the notification, which was circulated to the State Governments on Thursday, the highest wage under the MGNREGAisRs 284 inHaryana,while the lowest is Rs 171 in Bihar and Jharkhand. Officials of various Governments in North-Eastern States told ‘IANS’ that they have been instructed by the Election Commission and the Rural DevelopmentMinistrynottodiscloseanyfactsabouttheincrease in wages under the flagship rural employment scheme. A letter to Union Rural Development Secretary Election Commission Secretary Avinash Kumar, that has been accessed by ‘IANS’, said that no political functionary shall make any reference in this regard during any publicspeechorcommunication to the media and people. However, the CPI-M and Congress criticised the Central Government for increasing the wages underthe MGNREGA just onthe eve of Lok Sabha elections andtelecasting the news through the Government owned electronicmedia-All India Radio and Doordarshan. Tripura Pradesh Congress Vice President Tapas Dey said that increasing the wages under MGNREGA days before the Lok Sabha elections is a gross violation of the Model Code of Conduct, and that the Election Commission should not have allowed the Centre to hike the wages. CPI-M Central Committee member Gautam Das also said that the decision to increase the wages undertheMGNREGAisa blatant violation of Model Code of Conduct (MCC). “Prime Minister Narendra Modi has already violated the MCC on a number of occasions,” he said “While Modi during his Tripura Assembly election campaign last year announced MGNREGA wages would rise at least up to Rs 200, and minimum wages to Rs 340, but in the Government notification the MGNREGAwages were increased from Rs 177 to Rs 192 forTripura.Itis a clear cheatingtothepeople ofTripura,” Das, who is also the Tripura State Secretary of theCPI-M, said.The BJP, however, did not make any comments on the issue.